Do you have an unwelcome visitors in your hive? I am talking about ants. 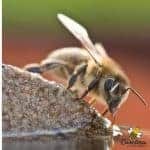 Beekeepers have so many things to learn and think about when managing beehives. Sometimes, it seems that the insect world is working against us. Must we also be concerned about ants in beehives? Yes, it seems so. In most cases, a few if you see a few ants in beehives, it is not time to panic. These ants are drawn to the sweet scent of honey or sugar water. The honey bee colony may ignore the ant invasion as long as it is low key. Ants in beehives tend to bother the beekeepers more than the bees. However, there are situations where ants can cause hive failure. I have know beekeepers who have lost hives to Fire Ant attacks. Some regions of the country have more aggressive ant species than others. Though not normally a crisis, we beekeepers just do not like see ants coming and going from the hive. We may not be able to stop every ant but maybe we can help. These are some techniques that might help you keep ants out of your beehive. One of the first things you can do to slow down an ant problem and (save your back) is use a hive stand. You can purchase a stand that is especially designed for this purpose. 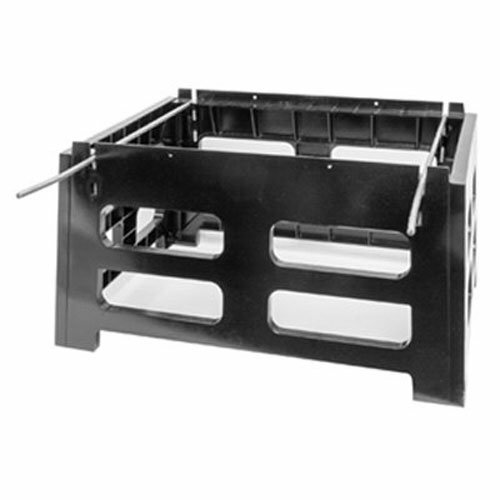 Or you can build a hive stand out of wood or cement blocks – anything to get that stand up off the ground. A common hive stand will not prevent ant in beehives but it does keep the ant colony from building a home under your bottom board. More on ant-proofing stands in a minute. Usually, no. Ants are most often seen between the top cover and the inner cover. Or, if you are feeding your bees, you might see ants on the feeder. I have had problems with ants in my feeders. Beekeepers don’t like having ants near the bees. But, ants normally cause no damage. If you see ants under the cover, just brush them away. You should not see ants crawling around on the comb inside the hive. This could be a signal that the colony is not strong enough to patrol the honeycomb area. Small colonies are at the most risk of suffering from ant problems. Having to deal with an ant infestation may be the “last straw” for beehives with low population. For your weaker colonies, keeping ants out of your beehive becomes a bigger issue. Ants are closely related to bees. This makes it harder to kill the ants without harming the bees. Certain types of ants are more difficult to deal with than others. They may be a danger to the bees if present in large numbers. 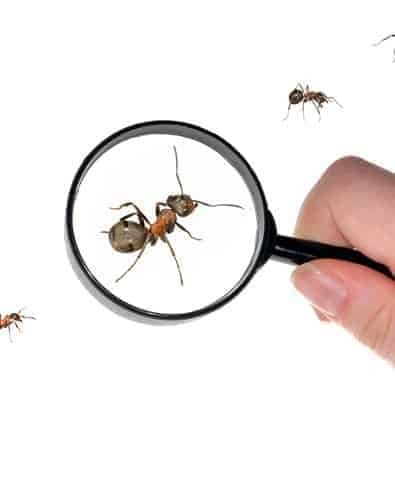 Check with local agricultural agencies to verify the types of ants that live in your region. If you live in an area with “Argentine Ants”, be watchful of problems near your hives. This aggressive ant forms massive colonies. Instead of competing with rival ant colonies, they join forces. Another type of ant that I am all too familiar with is the Red Imported Fire Ant (RIFA) Solenopsis invcita. The dirt mounds of fire ants have become a familiar site in South Carolina. If the mound is disturbed, thousands of ants surge from the ground and bite. It is very painful. I despise, yes I said despise Fire Ants. I try to keep them 100% out of my bee yard. They are as dangerous to the beekeeper as to the beehives. Why Do Ants Raid Beehives? Why are ants interested in beehives? Well, ants need to live and they are looking for a sweet food source. A honey bee hive offers a good opportunity for food. A few ants is no problem but a large infestation could cause a colony to abscond. In addition to stealing honey, some ants are omnivorous. These ants also eat brood (baby bees). After the ants have killed the hive, they use the honeycomb for their new home. Talk about rude! If you live in a region with these types of aggressive ants, having ants in beehives becomes a bigger issue. Thankfully, many of us live in areas that only see ant problems during Summer. We only have to worry about keeping ants out of the beehive for the warmer months. But not everyone is that fortunate. And it is not just a matter of where you live but also what type of ants you have to deal with. Because ants and bees are closely related, finding a pesticide that will not harm the bees is almost impossible. 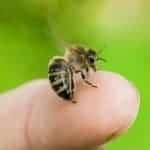 Be very cautious with any spray or powdery product that may drift onto the beehive or blooming plants. Some beekeepers have used a granular ant killer to treat the ground near the hives. 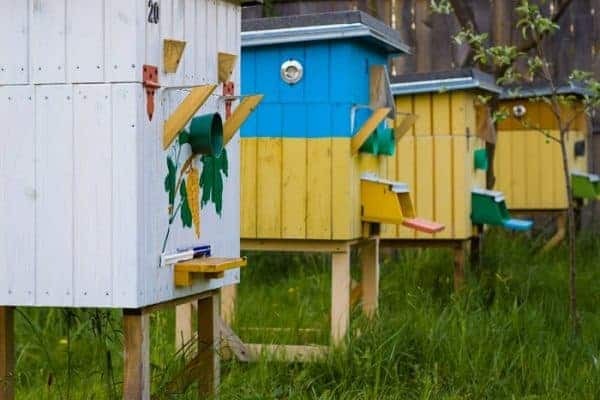 The theory behind this idea is to decrease the number of ant colonies near our beehives. This is not a completely safe alternative but using a granular pesticide will reduce risk to bees. For those of you who wish to use more natural methods of ant control, here is a few ideas to try. Planting mint near your hives may repel ant colonies. 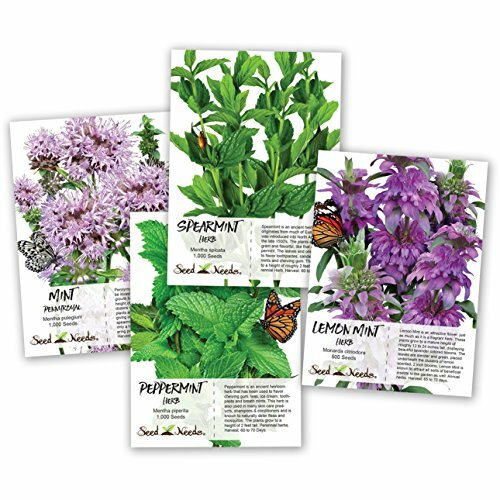 Keep in mind that most varieties of mint can be invasive. But your bees will enjoy having some herbal flowers nearby. If you live in an area with Small Hive Beetles, avoid planting anything too close to the hive. The ground moisture will aid beetle production and the tall plants will serve as a bridge for ants entering the hive. Can cinnamon keep ants out of your beehive? 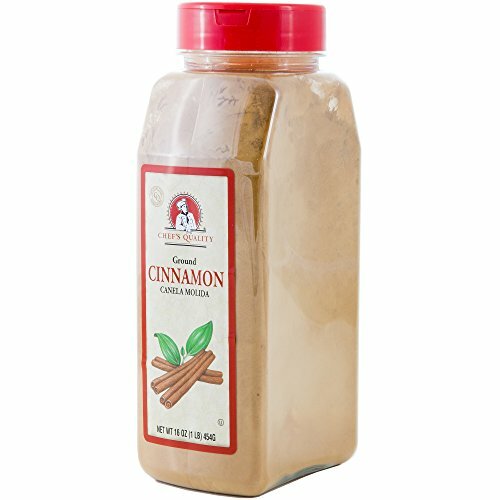 Many beekeepers that I know believe in the use of ground cinnamon for ant control. The dry cinnamon is spread on the ground around the hive. Ants hate the smell and will avoid the area. This must be reapplied after rain. 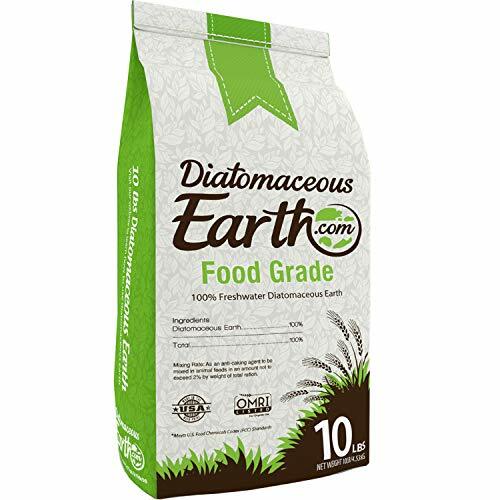 Other items used by beekeepers are a barrier on the ground include: diatamecous earth, or wood ash. None of these items should be placed inside the hive. They may harm your honey bees. Trim grass and tall weeds in the bee yard. A close cut ground cover will aid in the visibility of ant mounds. When you see mounds, treat them. When you are working your colonies, avoid throwing down pieces of honey comb. This attracts ants to your hive location. Put your beehives up on some type of stand. A stand can be made of metal, wood or other materials. It should be stable and sturdy. As the bees make honey, your beehive will get very heavy. Raising the hive off the ground protects the bottom board from rot. It also prevents ants from creating a mound in an inaccessible location. A family member had a Fire Ant Colony under a beehive sitting on the ground. That was not fun. Prevent ants from accessing the hive by using something sticky on the legs. 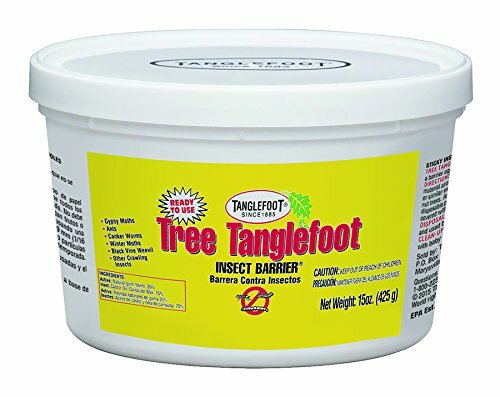 Vaseline, a product called tanglefoot or similar substance will keep those legs from becoming an ant highway. If the legs of your hive stand are small enough, you can create an “ant proof hive stand” by putting the legs in a can of oil. This beehive ant moat prevents hive access but will have to be monitored for trash etc. (Be sure to shield the container to protect bees from access.- thanks George). For most beekeepers, ants are an aggravation but not a real threat to the hive. If you are concerned about your honey bee colony. Try some of these techniques to aid in keeping ants out of your beehive.